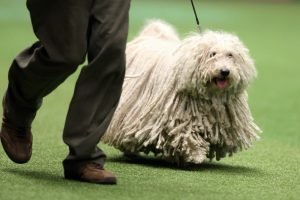 Hungarian Puli Club of Great Britain Club Show Sunday 31st March 2019. Second Show 24 dogs making 31 entries. Schedules and online entry are now available for our Club show on 1st September. Our Club Championship show is on 1st October 2017 is now available to enter! It would be great to have a good entry for our judge Dr Leif Ragnar Hjorth (Rosenhjorth) Norway and a well supported entry for our Special Award Judge Mr Joe Smith (Mowgli). We are also holding two junior handling classes and we hope to encourage the next generation by giving them experience in the show ring. We are doing a Bottle Raffle again, after the great success we had last year, it would be great if you could bring along a bottle on the day for the bottle raffle, or alternatively you can be bring your donations to Darlington show this weekend and hand it to a committee member. Also, normal raffle prizes would be greatly appreciated! Online entires close on 15th September 2017. Crufts is fast approaching and the HPCofGB are excited to announce the details of where you can meet our lovely Hungarian Pulis. 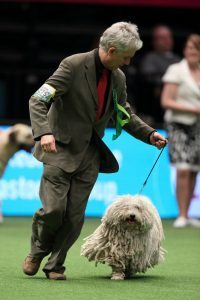 Hundreds of crossbreeds take part in Crufts, through agility, flyball, obedience, heelwork to music, Scruffts and Friends for Life competitions. There have been 78 Best in Show champions, with 43 different breeds winning the title over the years. The Cocker Spaniel has won the most Best in Show titles, with seven wins, followed by the Irish Setter, Poodle and Welsh Terrier which have won on four occasions each. The first Best in Show was won by a Greyhound. 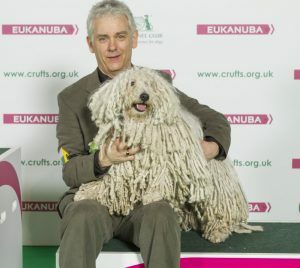 Vulnerable British and Irish native breeds have won Best in Show at Crufts a total of eight times. Crufts covers more than 25 acres of the NEC in Birmingham. This includes 5 halls, the Pavilion and the Genting Arena. Catherine Knight from Rusden with Polly a Hungarian Puli, which was the Best of Breed winner today (Sunday 12.03.17), the final day of Crufts 2017, at the NEC Birmingham. 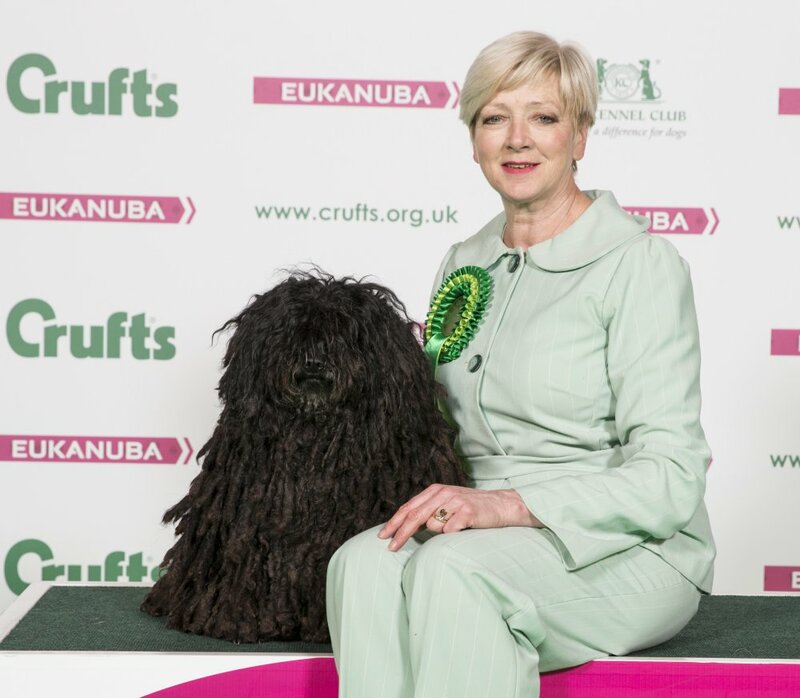 Picture shows Kim Sear from Melton Mowbray with Fergie a Hungarian Puli, which was the Best of Breed winner today (Saturday 12.03.16), the third day of Crufts 2016, at the NEC Birmingham. The Hungarian Puli Club of Great Britain are pleased to inform you, we are represented with a breed booth at Discover Dogs in London. This is your opportunity to have a chat to our Hungarian Pulis and meet their humans ! A great day out for the whole family – and under 12s go FREE! Please note there has been a change of judge for the Puli classes at the NWPB Open show on 14th February 2015. Mr M Taylor will now replace Mrs J Dennis.